This year, the collective is opening up a dialogue between designers and viewers intended to transcend Shaker aesthetics. 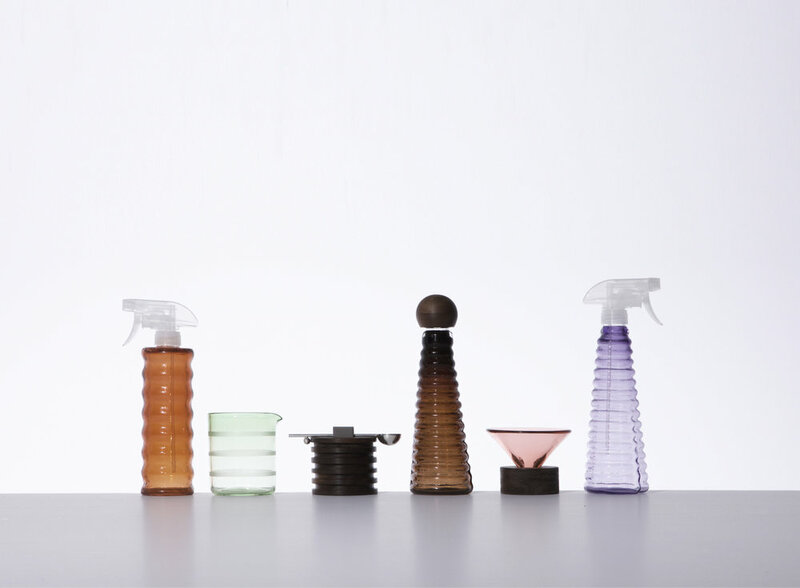 Designers were asked to explore the virtues of focused work and cleanliness that the Shakers regarded as a path to enlightenment. The theme of chores, conventionally understood as tedious, burdensome work to be avoided, reexamines our concepts of these activities and the tools related to them, proposing a renewed sense of engagement between humans, objects and their environment in the pursuit of a more virtuous way of living through ritualizing the mundane, with the potential for clearing one’s mind, connecting with one’s body and confronting the indifference of the natural world. Visitors will discover 50+ new objects from 26 international designers. In addition to the curated works, interactive visual and sound installations will challenge visitors to more deeply consider the sensorial satisfaction of using common tools. Hands to Work is curated by Studio Gorm, Christopher Specce and Ladies & Gentlemen Studio, with overall creative direction by Ladies & Gentlemen Studio. Additional support is provided by the Norwegian Consulate General New York. Often credited as the first minimalists, the Shakers and their furniture have inspired countless modernist and contemporary designers all over the world. But who are the Shakers, where did they live, and how did they develop such a restrained, timeless mode of design? With Shaker communities confined to just a few sites in the United States, people rarely have the opportunity to experience iconic Shaker objects in person: ladder-back chairs, benches, cabinetry, wall pegs, quilts, tools, and more. Furnishing Utopia’s mission is to provide designers with direct exposure to original artifacts and demonstrate how the group’s ideas still prove influential beyond just aesthetics. In collaboration with two preserved Shaker sites – Mt. Lebanon Shaker Museum in upstate New York and the Hancock Shaker Village in the Massachusetts Berkshires – Furnishing Utopia organized two week-long workshops giving international designers access to an extensive archive of objects and engaging them in a dialogue with Shaker museum curators. Following the workshop, the designers produced everyday pieces, from brooms to baskets, that translate the ingenuity and ethos of Shaker style into objects suited to contemporary life. Inspired by the many types of hanging utensils (typically metal) and wooden tools made by the Shakers. We developed a set of utensils that referenced these as well as the wooden peg rail, shrinking it down to the scale of kitchen utensils. Creating a set of essential tools that were always accessible when cooking and graphically pleasing when put away. Wooden utensils attach to the rail with integrated magnets. Everything in its place. Based on the Shaker quote “do your work as if you had a thousand years to live and if you were to die tomorrow”. This table is built to last. Borrowing elements from several Shaker Trestle tables, including a high stretcher and the use of metal hardware for easy disassembly. This table is made from old growth Douglas Fir and generously supports activities from family meals, projects to office work. One half of the top slides to accommodate cords and plugs. Oversized metal hardware and sliding dovetail joints make it extremely durable and allow the table to be completely dismantled for ease of shipping. Inspired by the Shaker #4 rocking chair, which has a strikingly contemporary proportion, it is particularly wide, with a low profile making it comfortable and inviting. Our version is made in solid maple with geometrically minimal forms, it has a spindle back atypical of Shaker Rockers. Inspired by the Shaker desks and their thoughtfulness for compartmentalization, L&G Studio decided to create a modern day working station that's both versatile and well-considered for different scenarios. The piece has a front which front folds down and opens up a working surface, while the inside has integrated accessories for organization. When one is finished with work, one can simply close the cover and visually stow away the work. The top section doubles as a standing work surface. Inspired by the playful mutli-color and patterns on shaker chairs and stools, L&G Studio decided to extend the possible woven surfaces and colors which can be applied in one piece. The Shakers equated order, cleanliness, and neatness with the divine, and the chores required to achieve those ideals had the capacity for worship. Communal life and the specialization of labor enabled the Shakers to design and produce objects that were uncommon in their specificity of purpose and quality of manufacture. I’m drawn to the devotional craft the Shakers invested in the things they made and their ritualization of the tasks of daily life. I’ve tried to create a similar, albeit somewhat absurd elevation of the mundane, juxtaposing those spiritual aspirations with the kind of souvenir interpretation that exists in a gift-shop’s-view of this rich and idiosyncratic culture. Modeled on archetypical plastic garden rakes, windshield ice-scrapers, folding step ladders, and Procter & Gamble's Swiffer, the simple tools I’ve created are intended to provide familiar utility while allowing for both more mindful and ridiculous use. The shakers believed in making good work with their hands as a form of religious worship, and for me the mallet is an object that represents this philosophy. I designed a small mallet which is slightly flat on the top so that it could stand upright on its own. Its proportion is inspired by shaker mallets. The shakers' work are often characterized by their utility and joinery. This wall mounted shelf is an exercise in both. The wedged tenon under the shelf ensures that it will never sag.shaker mallets. This night table combines the utility of two iconic pieces of shaker furniture - the side table and chest of drawers. The drawer is almost unnoticeable and ideal for keeping our most personal items. Inspired by the simplicity and beauty of shaker benches, the exposed joinery gives the bench its strength and character. The soft, sculptural forms of shaker knobs and handles are the inspiration. Blocks of laminated solid wood are lathed into doorstops, each with a personality of its own. Could also be used as paper weights or bookends. The shakers are well known for their bent wood boxes which were used to store every items. As a response to today's shrinking home sizes and more nomadic lifestyles, I wanted to create versatile storage objects that could be packed extremely flat. Using leather, I experimented with folded shapes and ways of assembly. I arrived at a six-petal pattern which could be folded into a round basket.Comes in a set of three in Red, Blue and Tan colored Napa leather. The shakers designed chairs in a way that was relevant to their way of life. Not only are our homes getting smaller today, restaurants, bars and cafes are too. "What is the smallest functional chair, that could still be comfortable to sit on?" was my question. I designed a three legged chair with a short backrest and a seat shape inspired by the shaker stove, that can be hung on a wall mounted peg rail. Reinterpreting the shaker peg rail, this version takes inspiration from the domino joints that are commonly used in woodworking today. The proportion of the domino gives it its strength. A ledge enables storage of mail and also acts as as a spacer between the wall - which is useful when hanging large coats. The stool is probably the most nomadic piece of furniture in the home - on one day it could be used in the kitchen, on another at the dining table for a house guest, and sometimes near the front door for us to put on our shoes in comfort. I saw pieces of leather draped over a slim, four legged stool in one of the shaker workshops and it led to the idea of a suspended leather strap that can be activated as a comfortable sling handle. The Shakers excelled at their craft in the production of tools, best exemplified in their brushes and brooms, of which they made many for very different purposes. The brush study series examines and explores the forms, materials and various functions of specific Shaker brushes, providing a contemporary interpretation of the original works. Each brush handle is colour-coded in shades from the traditional Shaker palette in order to define and identify its particular function and intended location. This is a method very much in line with the Shakers’ approach to objects, which ensured that everything was always in its place. The Rung Rack is a simple folding storage rack that references the rungs or crossbars of a ladder’s step. Inspired by the lines of an original apple picking ladder made by the Shakers and found at the Hancock Shaker Village archives, the versatile piece is ideal as a clothing rack, a room divider, or a simple store-all for textiles and magazines. The ends of the ash dowels are notched to form additional hooks and the numerous crossbars provide ample surface for draping storage. The central pivot allows the rack to sit open at various spans, including fully extended to lean flat against a wall, or folded completely closed for storage. However, the Rung Rack takes a cue from the Shaker approach to objects in the home and is designed to be on view, close at hand, and not hidden away. Broad woven tapes are woven together to become part of a bigger weave. The Shakers would use this to make webbing for chairs, but scaled up it becomes a colorful carpet. The Hand is a pine toy with a magnetic removable thumb (just for fun). The shape comes from a Mitten Mold used by Shakers to shrink knitted woolens to proper size. Hancock Baskets were inspired by a laundry basket in a storage room at Hancock Shaker Village. Four baskets make up the family - a Large Basket for laundry or magazines, a Bread Basket, a Serving Tray, and a Mushroom Hunting Basket. The four incorporate details from various baskets we liked in the archives, but the material is modern bent plywood - which we think the Shakers would have wholeheartedly embraced for its strength and lightness. Brother Shelf was inspired by utilitarian shelving in the Brethren Workshop at Shaker Village. It uses nothing more than the essential geometry needed to stand upright, but nevertheless has a playful appearance. The array of triangular crossbars in the Brother Shelf are a simple solution that keep it from leaning to the side and also eliminate the need for messy cross brace hardware. Consequently, the shelf can be used either one-sided (against the wall) or two-sided (as a room divider). Sister Table is an unassuming coffee table that takes cues from a stone sink in the Sister's Dairy at Shaker Village. The table has friendly rounded corners, a handy carrying handle, and a lip around the edge that holds everything neatly in place. The Doverail derives from the Shakers form-language and other wall hung objects seen at the shaker village. The rail is simply hung on the wall with one screw and is intended for the modern home where the shaker peg-rail is no longer common. The dove-tail shaped rail allows for vertical adjustment of the mirror or shelves through the turn of a brass knob, giving the product a flexible nature. Simple geometric shapes in combination with natural materials has where used to give the product a light yet strong character. The Shakers have many innovative and well known solutions for storage in the home and for their own production facilities. This toolbox is inspired by Shaker chest of drawers that often had oversized knobs for ergonomic and esthetic reasons. Designed for the modern day architect or designer, the toolbox functions as a desktop organizer with a large knob- handle that makes it conveniently portable. 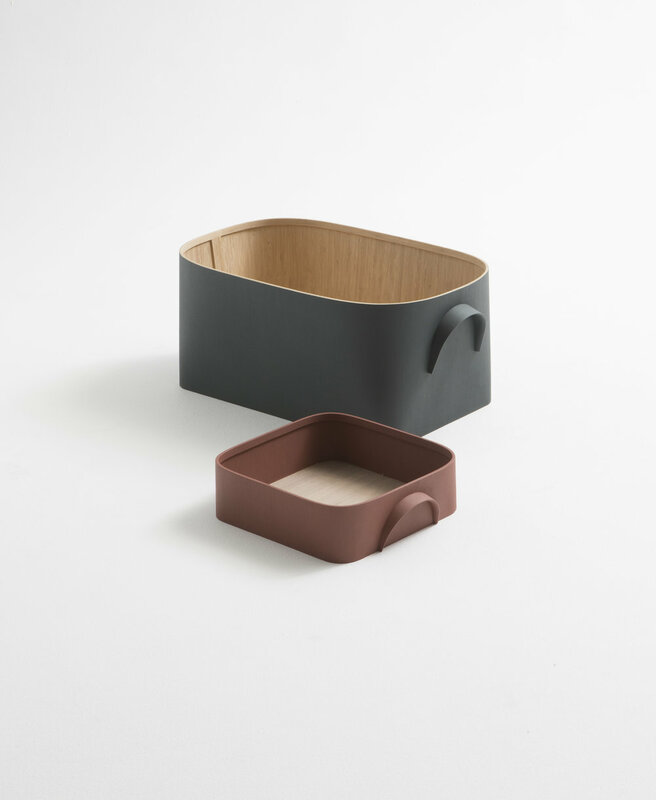 The toolbox is made from solid beech, chosen for it's density and even grain structure. Our product is inspired by the shaker step stools but also by a traditional Norwegian category: a stool crossing over to step stool. The popular name in Norwegian translates to the somewhat outdated name "wife-enhancer" in English - of reasons that need no further explanation. The Shakers liberated their space and kept things in order by hanging their artifact on the wall. Another way of saving space is to combine more than one function into one object. Our product serves as a step stool with an elonguated handle to support you when reaching for those far away kitchen cabinets and seat should be just about high enough to serve as an extra seat around your kitchen table. We also picture our product in a hallway or in a bedroom. We also found great inspiration in shaker object like the various wood handles of the Shaker-tools but also in particular from a very elegant hay fork we spotted in the brick dwelling at Hancock. A nod to the Shaker’s rolling beds, the Daybed has wheels on the back legs to facilitate moving for cleaning. The side table refers to the platform of Shaker wood stoves. A reference to the Shaker’s obsession with cleanliness and their enthusiasm for advancements in materials and technology, the Dustpan combines the tactility of a wood handle and the durability of plastic. Milled from a solid block of aluminum, they will accommodate several of the most common candle sizes allowing for a variety of compositions. The Dwell bench is inspired by the Shakers ideological approach to design, making their furniture a physical expression of their guiding principles. The ideals of order, union and purity are reflected in balance, scale and simplicity. Balance in the form of symmetry, scale with sensibility to the users and surroundings to which it relates, simplicity in form and honest use of materials. 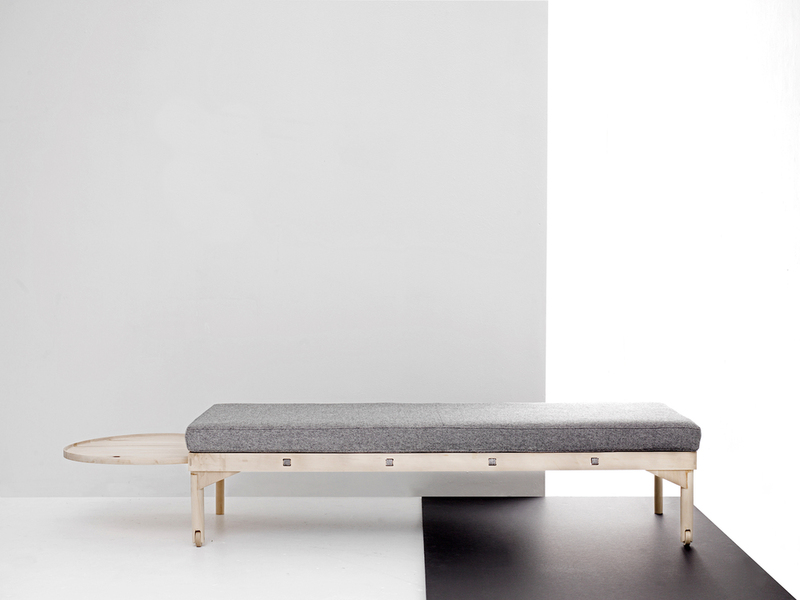 The rational construction, functionality and lines of the Dwell bench are a tribute to these timeless values. 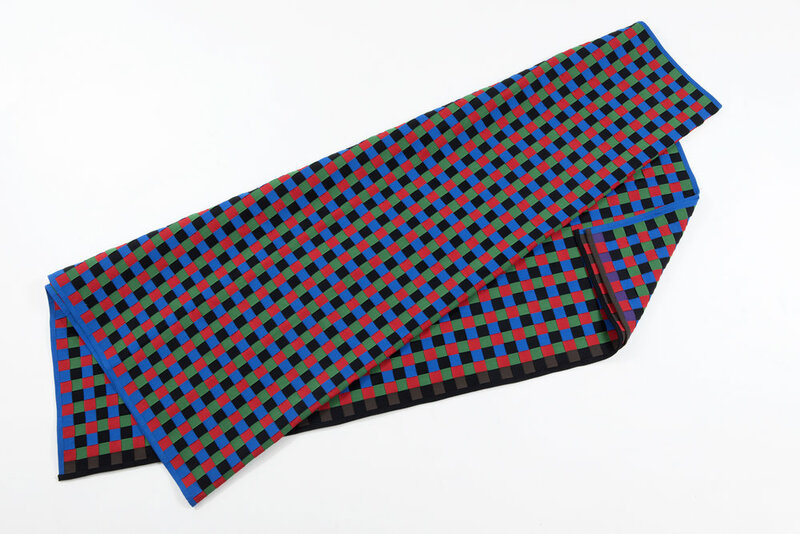 ‘Beat it’ is a contemporary interpretation of the original carpet beaters made by the American Shakers in the C19th. The Shakers believed in “That which has in itself the highest use possess the greatest beauty”. 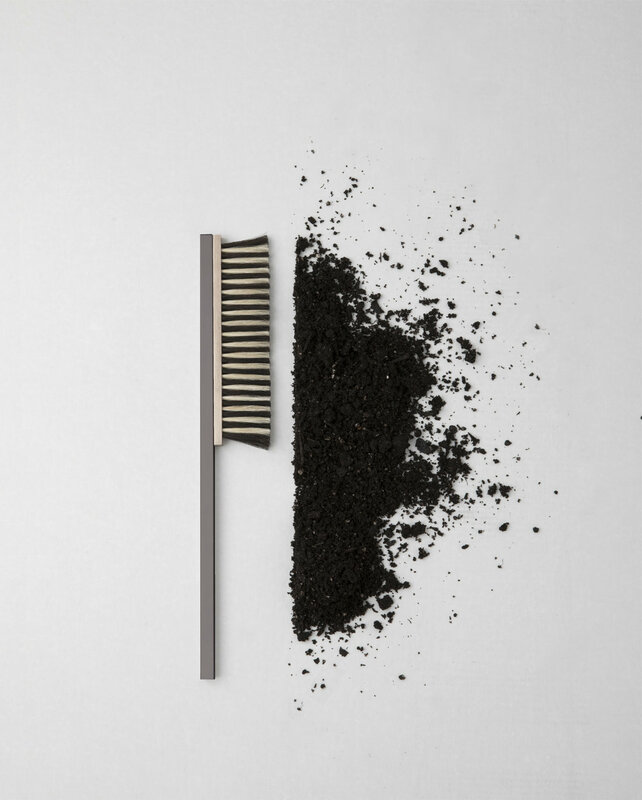 This philosophy highlights the beauty in commonly overlooked everyday objects. 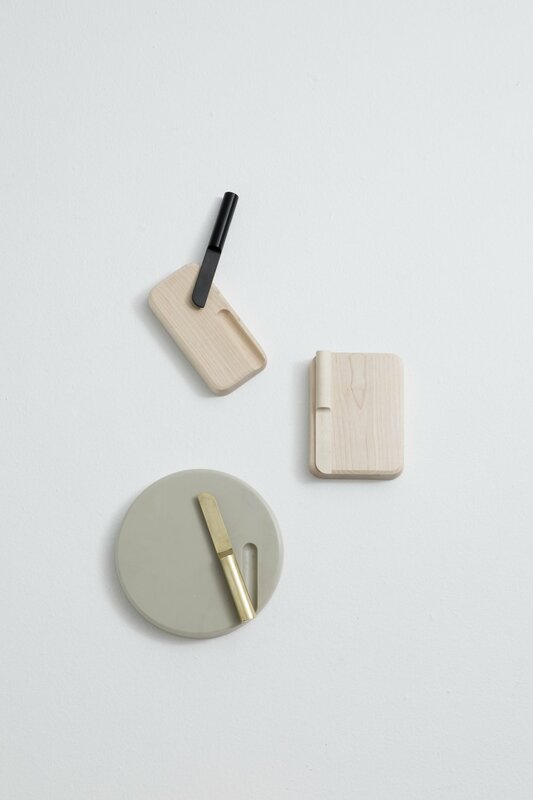 With ‘Beat it’ the aesthetic value of a useful, and simple tool can be brought into the modern home. A collection of side tables, were the inspiration is found in the craftsman's process of making at traditional Shaker box. Instead of gluing the veneer into shape and closing the, we keep one side open and make this the supporting base for the tabletop. This simple idea makes the table change from every angle, where one side will seem closed, the other open. The tables comes in different heights, making the slide into each other. "The concept exists of 3 trays in different sizes that you, in the well known shaker style, can hang on the wall. The idea is to combine the functionality of the product and use it in a more graphical and illustrative way. The inspiration is fund in the shaker rails, the shaker boxes and is combined with the minimalism you find in both the Shaker- and Scandinavian style with a focus on aesthetics and functionality." Cleanliness is next to Godliness. This broom, thanks to a low profile and dense bristles, is easy and efficient in use. A rigid hang loop allows for easy storage. The Shaker pegs threaded into their rails. This version uses a section of threaded wood for the peg itself, giving good grip and allowing fragile items to be securely fastened. Inspired by the adjustable candle holders traditionally used over tables and in hallways, made with exposed joinery and spliced cord. It’s easily raised and lowered using a cleat on the wall. The Shaker version hung on peg rail; this take can be put on any wall. It uses a single dovetail to firmly lock the pieces together. A simple tabletop candle holder, echoing the clean forms of Shaker interiors. Cork feet make for a gentle landing.